It’s a concept that can be quite difficult for children, and adults, to understand at first, so let’s use an emoji to help! This doesn’t look like a real person, does it? 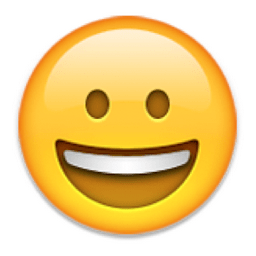 But we all know that it is a person’s face, and it’s showing they are happy. Just like the definition above, it’s using shapes to achieve this effect. And here’s my NurtureStore logo. It doesn’t really look like any house I’ve ever seen, but it’s instantly recognisable as a little yellow house, with a pink roof and door. 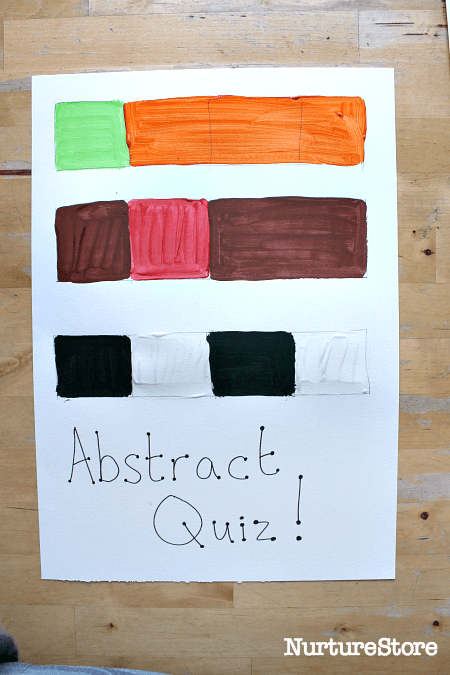 It’s an abstract representation of a house, using shape, colour and marks to give you the idea of a house. And what about these images? Can you see what they are meant to be? If I told you the top one is a vegetable, the middle one is a type of bird, and the bottom one is an animal, can you see what they are now? They’re only using squares of colour, but they can pass onto you a message of what they represent. They’re an abstract representation of real things. 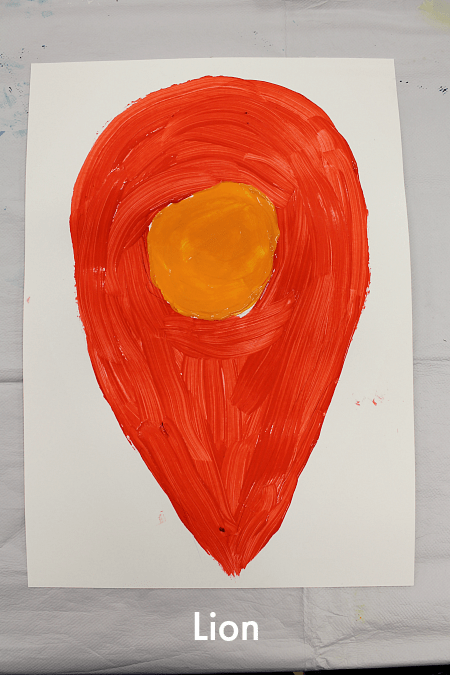 This might seem too conceptual an idea at first, but if you look at children’s early paintings I think much of their art exploration is minimalist in nature. Before they first paint a person or a pet, they often begin by delighting in painting shapes and colours, just for the delight of the shapes and colours. Keep these ideas of abstract art and minimalism in your mind as we look at some of Ellsworth Kelly’s art and try out some abstract art of our own. 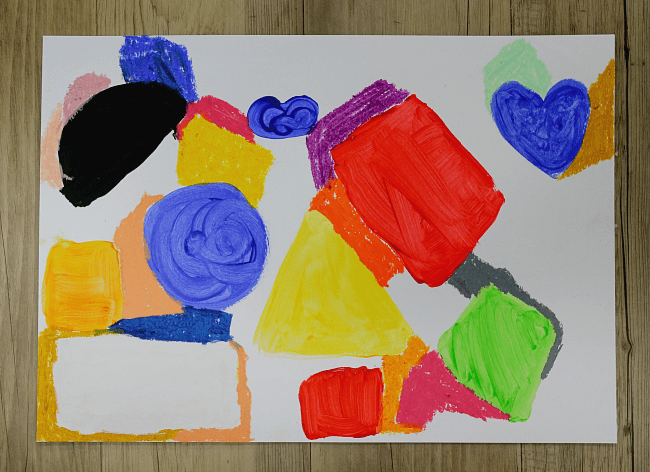 Setting aside any ideas of painting something or someone, in this month’s workshop we can enjoy exploring how colours and shapes look, by themselves and in partnership or in contrast with the other colours and shapes we choose to use. Ellsworth Kelly was an American painter, sculptor, and printmaker. 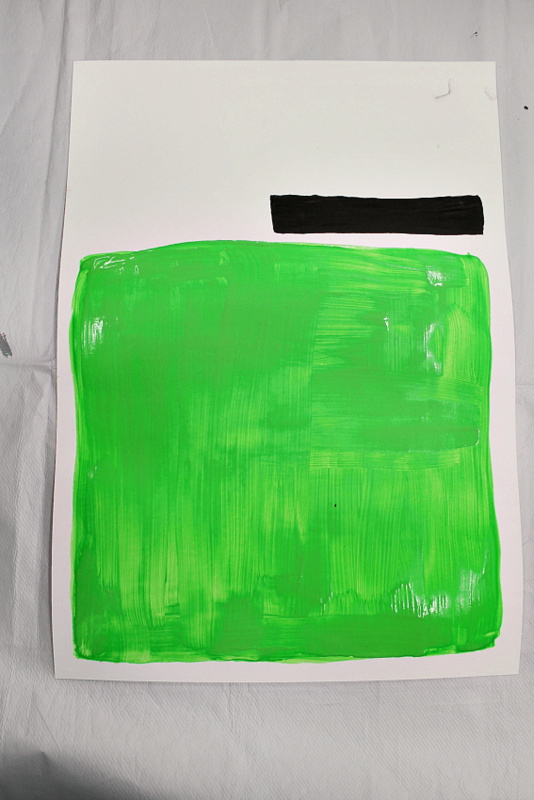 He is know for his abstract and minimalist works, and his use of bright colours. He was born in 1923 and during the Second World War he served in the 603rd Engineers Camouflage Battalion where one of his tasks was to paint tanks and other vehicles in camouflage paintings, to hide them in their surroundings. Kelly was very interested in looking at the shapes and forms in nature and in architecture. It’s said that when he went to visit the Musee D’Orsay gallery in Paris he was even more interested in looking at the shapes created by the huge glass window panes than in the famous art on display! Use these links to take a look at some of Ellsworth Kelly’s art. 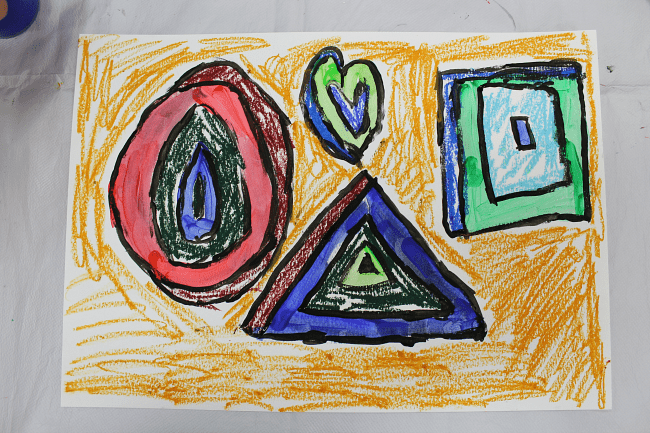 You can talk about the shapes, forms and colours he has used. What do you see? 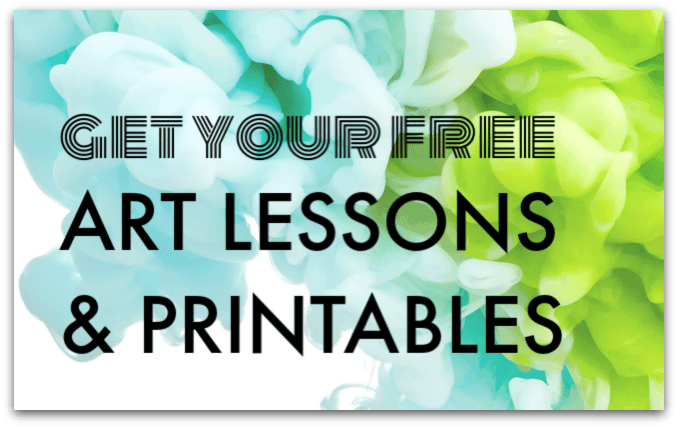 – paint onto paper and then cut out your shapes. Then you can place them on another piece of paper, and play around with the order, patterns and composition. – draw out a shape on your thick paper or card, and then cut out the centre of your shape to create a stencil. Then you can use this stencil to make a new arrangement of shapes on a large piece of paper. You can get clean edges, and move your stencil from place to place to add more shapes to your design. 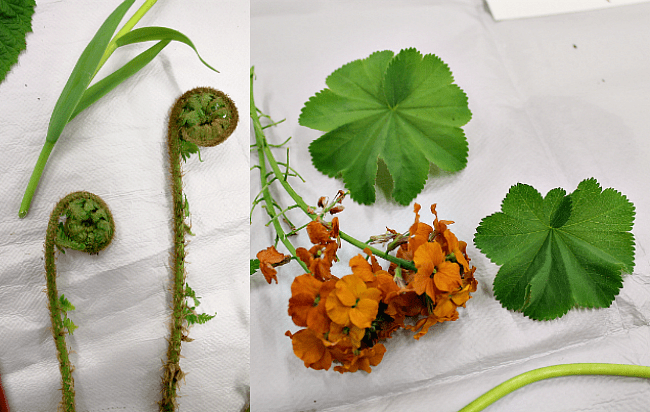 Gather together some natural materials such as flowers, leaves or shells and look closely at them. Or take a look at photographs of animals. Think about the shapes and forms they are made from. Can you use your paints to create an abstract version of them? How can you use colour and shapes to give an impression of them? Can you paint the simple, clear, essence of them – like the emoji and house that we looked at? Use your paints to explore colour and shape. Experiment and see which combinations you like best. :: Place different colours next to each other, and see how they look to you. Does red look the same next to orange as is does next to black, or next to green? :: Which shapes do you like next to each other? :: Experiment with size, painting small and big shapes. :: Where do you want to place the shapes on your paper? Do you want to flip or rotate any shapes? Have fun! Abstract art and minimalism can be playful!